My last article was about Hillary’s lies, scandals, and crimes. It was my intent to write a simple factual case that could be used to ask Hillary supporters how they can continue to support her. 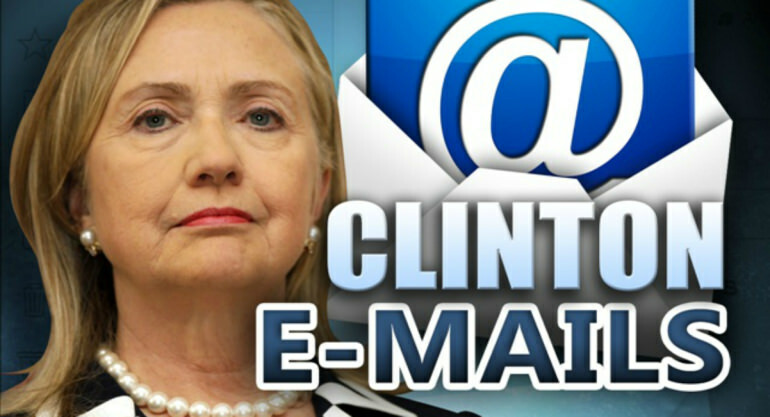 The FBI “document dump” last Friday gave new meaning to the term Emailgate and provides a lot more facts that can be used to ask Hillary supporters, “why?”. Unfortunately for Hillary the Washington habit of releasing potentially damaging information on a Friday before a holiday weekend did not have the desired effect this time. Questions about the FBI’s obviously deliberate mishandling of Hillary’s interview and the entire investigation have been in the news since the Friday afternoon document release and are getting louder by the hour. When you add the information in the recent WikiLeaks documents to the information released on Friday even some of the media that has been soft on Hillary and her supporters are beginning to ask more pointed questions. When you look at everything that has happened with Emailgate it seems obvious to me that the Clintons and Department of Injustice were determined to make it look like the issue was a “non- event”. When it became obvious that was not possible then their fall back plan was to convince the American public that it was nothing more than a simple case of bad judgement. Remember when the news about her SERVER became public and how Hillary explained it? She gave a brief press conference at the U.N. and said she “chose to use one devise for all her communications as a matter of convenience”. We now know that she used thirteen different Blackberrys and cell phones, and five IPads (none were issued by the State Department and all are unaccounted for except for two that were supposedly destroyed with a hammer by an aide). All this is bad enough but it was not just multiple devises that she blatantly lied about publicly, the devises were being used to communicate through a private SERVER! Plus a notebook PC and thumb drive containing all of Hillary’s communications was “allegedly” mailed to the FBI but “disappeared” in transit. The way the FBI handled this investigation has proven that the Department of Injustice, under Obama’s direct orders, made sure that no one would be prosecuted for anything related to Emailgate or the Clinton Foundation. No Grand Jury was convened to review the evidence, Hillary’s one interview was NOT recorded (only handwritten notes from Officer the agents who interviewed her) and she was not under oath. Hillary’s attorneys told the FBI that she would not agree to be interviewed if she was sworn in or the interview was recorded, and the FBI apparently agreed to that! Every former FBI agent, former FBI manager, one former FBI Director and other legal experts (like Judge Nap) that I have seen interviewed about the FBI’s handling of this investigation said every aspect of it was in violation of standard FBI investigative procedures. Bleach Bit was used to destroy thousands of documents by a technician at the company maintaining her server(s) (with no security clearance) after a conference call with Hillary’s attorneys, after the records were subpoenaed! The excuse given was that the technician was supposed to have done it before the subpoena was issued but he forgot to do it. At the Candidate Forum on Wednesday, August 7 with Matt Lauer, Hillary angrily replied to an Emailgate question from a retired Naval Intelligence Officer. Her reply was a combination of some of her previous blatant lies and some new ones. She said that all classified documents have a header that clearly identifies them as classified, she did not send or receive any classified documents on her private system, she used an entirely different system for classified documents, and lots of people in Washington used her system or one like it. During Hillary’s FBI interview she told the agents conducting the interview a “variety” of lies indicating that she did not understand classified document markings and did not recall any classified document training. On at least two occasions since them, talking to the press on her new campaign jet and at the Forum on the 7th, she clearly contradicted those lies. One of the best analyses of Emailgate that I have heard was from a commentator who compared Emailgate to Watergate. He said that he was a teenager when Watergate happened but remembers it well and is amazed at how different Hillary is being treated. Watergate was about 18 and ½ minutes of tape recordings of a phone call with President Nixon in the Oval office that were erased. This caused the President to resign, be charged with a crime (he was pardoned by the new President) and put a man in the White House who had never run for the office of President or Vice president, Gerald Ford. How can Hillary be one of the top two candidates to be the President of the United States of America? THIS CANNOT BE HAPPENING IN AMERICA!